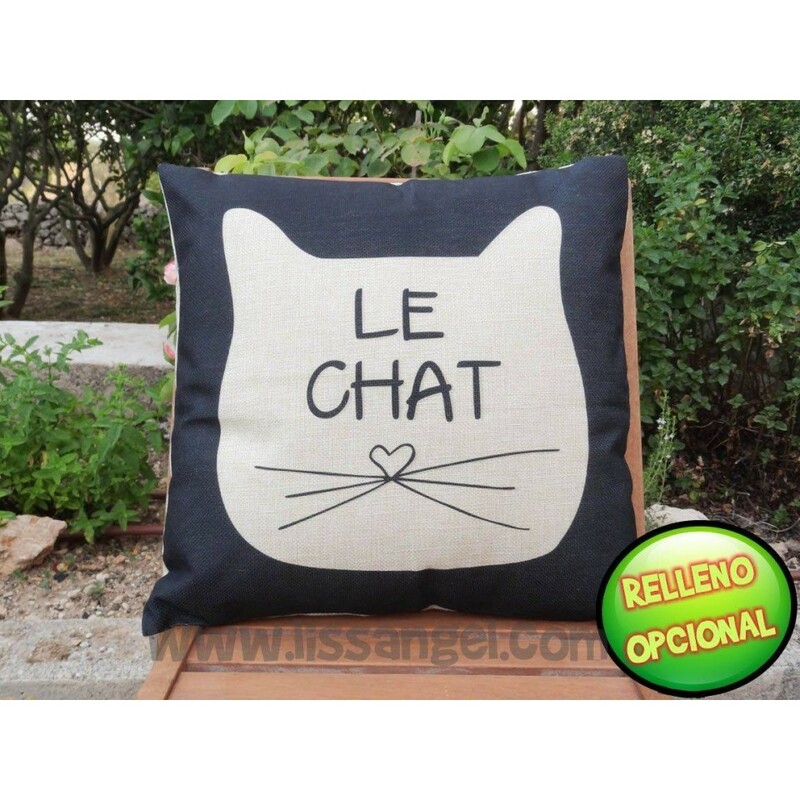 Cushion cover with cat siluette and french letters. The back of the cover is the same type of fabric, beige color. It has a hidden zipper on the side. 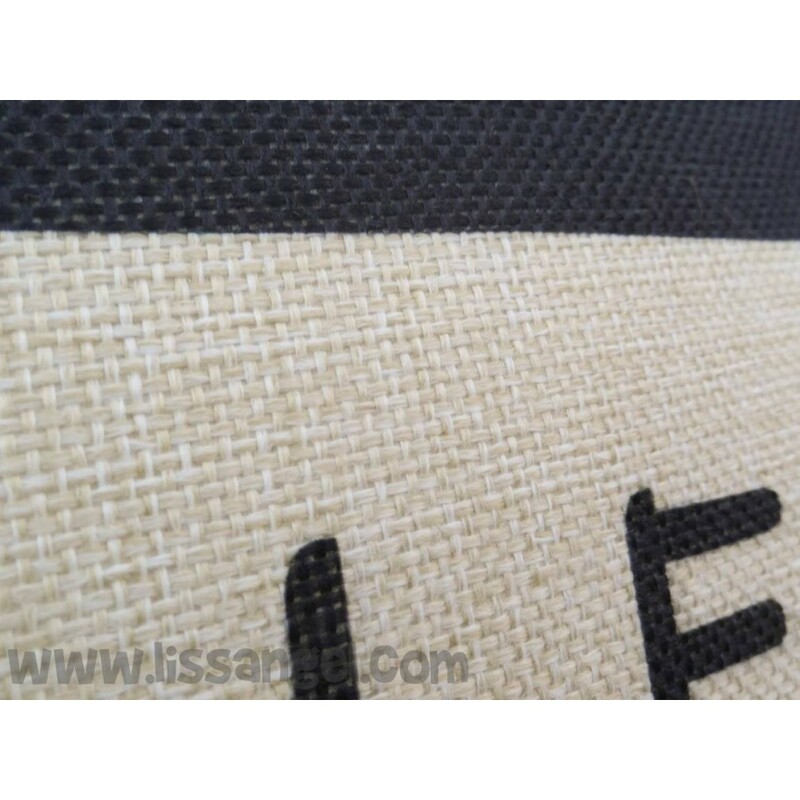 You can buy only this cover or if you prefer you can buy cover + filling. 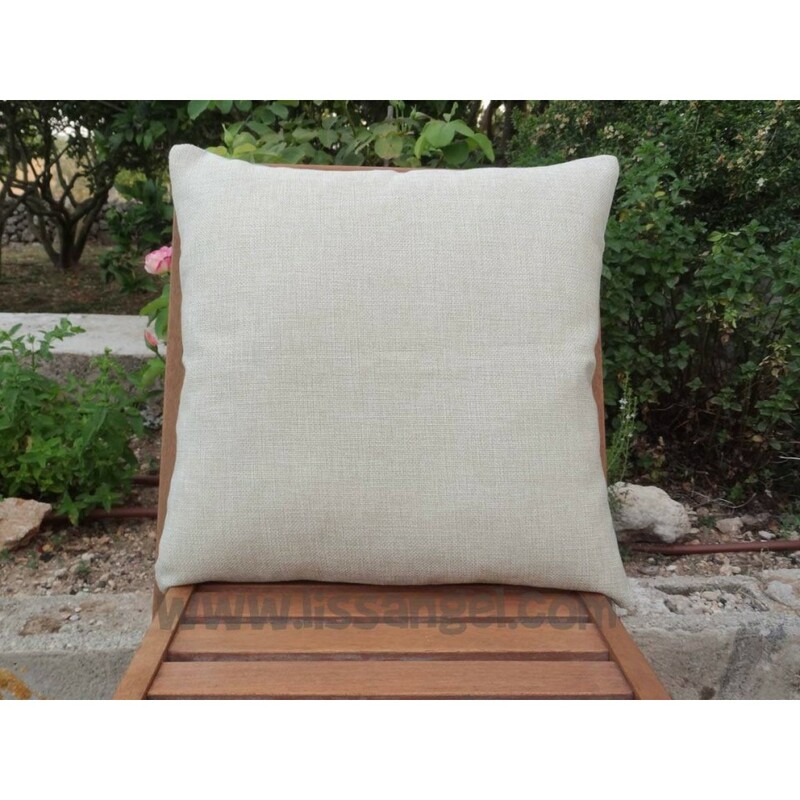 Down in the Accessories tab, you have available the filling to add it to your cart, so you will receive the complet cushion ready to use. 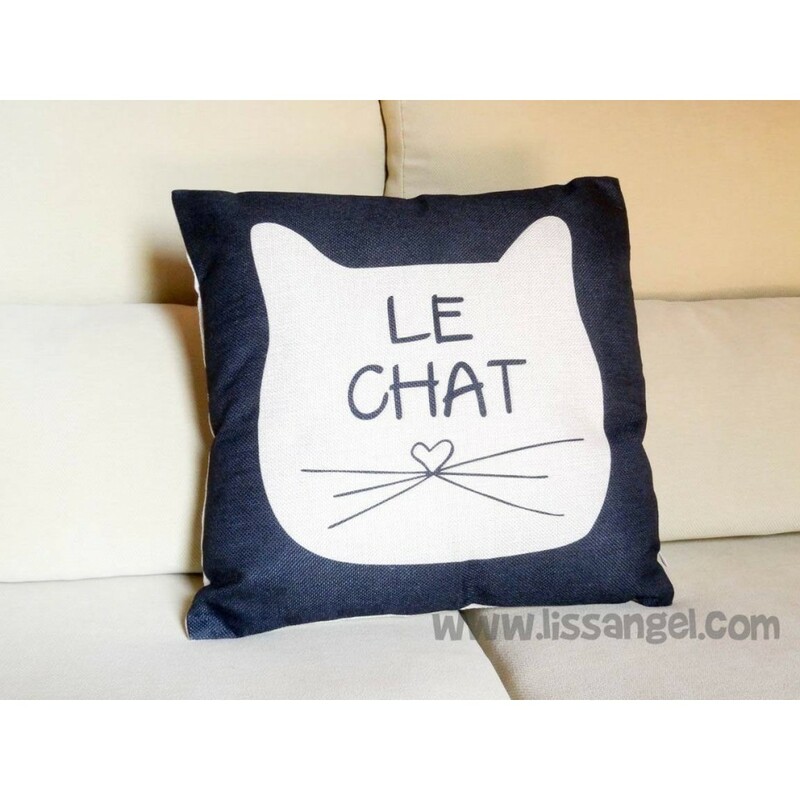 With this cat cushion, you can give a touch of art to your home decor, it will look great wherever you put it.